D.C.—Today WOLA releases the results of an investigation into the treatment of unaccompanied Mexican migrant children detained at the U.S.-Mexico border. 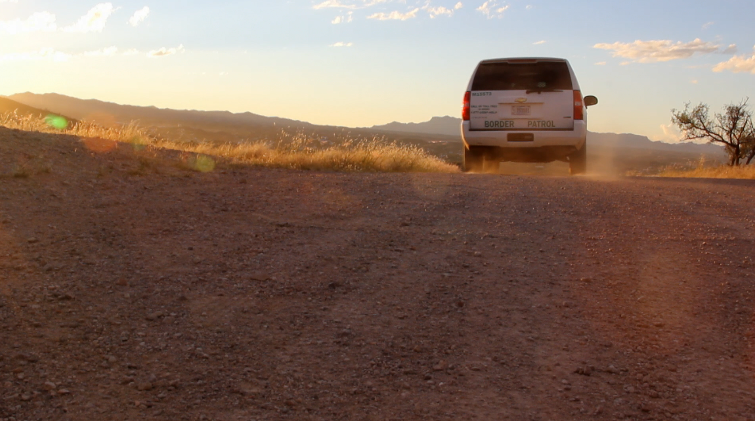 Every year, the Border Patrol apprehends approximately 15,000 unaccompanied Mexican kids. According to an UNHCR report, nearly 60 percent of Mexican children reference violence as a reason for leaving. Yet, less than 5 percent get a chance to make their case before an immigration judge to determine whether they have a valid claim for protection in the United States. WOLA is releasing today an investigative video and report on this issue. Through interviews with migrant children, Border Patrol, Mexican authorities, and experts, WOLA’s video and report show that unless Mexican children can prove to a Border Patrol agent that they face a credible risk of falling victim to persecution or trafficking, they are sent straight back home, without a chance for due process. In contrast, according to U.S. law, migrant children from other countries[i] are automatically entitled to an immigration hearing. Through the voice of the children, the video also demonstrates why Border Patrol is not properly equipped to assess whether these children should be referred for further screening. NOGALES, MEXICO—Drive through the Sonoran Desert, stretching from northwestern Mexico into Arizona and California, and you can’t miss the mesquite trees. They hang wide and low across the desert floor, with thin leaves on creeping branches. Smoke from their wood fills barbeque grills. For Esteban, a 17-year-old from Sonora, Mexico, the mesquite tree means something very different. That kind of murder and mutilation are rarely headlines anymore in Mexico, where some states are basically controlled by organized criminal groups. In September 2014, local police in league with a criminal group allegedly rounded up and disappeared 43 students in the state of Guerrero. At least 50 mass graves have since been found in the same region of this state. In fact, Esteban lives along a trafficking route of the mighty Sinaloa cartel. For many teenagers like him, recruitment seems inevitable. Realizing his work wouldn’t keep him afloat long and worried about the next time the gang came knocking, Esteban ventured into the Sonoran desert with a camouflage backpack and a group of other migrants. But when their hired guide ditched them, he ended up with la migra, U.S. Border Patrol. Forty-eight hours after being picked up in the desert, he was already on his way back home where he would face the looming threat of forced recruitment by the cartel. But he shouldn’t have been sent back to Mexico and the gangs, at least not so quickly. Under U.S. law, some unaccompanied minors, like Esteban, can qualify for certain types of immigration relief or asylum. But by pushing Esteban through the deportation system in mere hours, no authorities on either side of the border ever heard about the shootouts, the kidnappings, or the mutilated body under the mesquite tree. Esteban’s story, as an undocumented, unaccompanied minor fleeing violence, may sound familiar after the summer 2014 news blitz: Honduran, Guatemalan, and Salvadoran kids fleeing violence in their home countries and seeking refuge in the United States. More than 50,000 unaccompanied Central American children arrived in the U.S. during fiscal year 2014, many of them very young children. Child after child said they were fleeing gang violence at home. They crossed into the U.S. on foot, just like Esteban. Most of those children from Central America are still in the U.S. The vast majority have been placed with family members or sponsors, and are waiting to make their case in court. In contrast, children from countries that share a border with the U.S. (Mexico and Canada) are fast-tracked through the removal system and rarely see an immigration judge. The difference in how they are treated is written into the William Wilberforce Trafficking Victims Protection Reauthorization Act (referred to as Wilberforce by some and TVPRA by others). This law aims to protect foreign nationals who are victims of trafficking or violence and who flee to the U.S. without documents. Protecting vulnerable children is its priority. Under this law, unaccompanied Central American children apprehended by Border Patrol are transferredto the Office of Refugee Resettlement (ORR), a branch of the Department of Health and Human Services. There, they receive shelter and some get legal advice. Over 90% are then sent to a family member or sponsor already in the U.S. to await their immigration hearing, where they could receive asylum, special immigrant juvenile status, or a visa to stay in the U.S. In contrast, the law deprives Mexican minors of automatically getting these same rights. In fact, when Border Patrol agents apprehend Mexican children entering the U.S., they screen them on the spot and have just 48 hours to get them out of Border Patrol custody. Most are processed within a few hours. In that tight timeframe, the TVPRA says agents are supposed to check three things before deporting a Mexican child: 1) they aren’t victims of trafficking; 2) they don’t have a credible fear of returning home; and 3) they are able and willing to voluntarily return to Mexico. If everything is clear-cut, the child signs a voluntary return form and is sent south to Mexican authorities. But if the answer to any of those points is unclear, the child should be transferred to ORR and into the same process as all other unaccompanied migrant children. The reality is that, for kids like Esteban, the odds of ever getting a chance to make their case in an immigration hearing are slim. In 2013, only 4.5% of the over 17,000 Mexican children apprehended by Border Patrol were transferred to ORR custody. But evidence suggests a much higher portion of Mexican kids are fleeing violence. Central America may grab the headlines but closer to home, Mexico’s drug-war-torn states, like Guerrero and Tamaulipas, have disturbing levels of crime and violence. Murders, extortion, and kidnappings are all too common. And youth are increasingly the target of that violence. UNICEF reports that the murder rate of underage Mexican boys more than doubled between 2007 and 2011. The lists of disappeared persons are never-ending, with over 9,000 reported disappearances since President Peña Nieto took office in December 2012. In one of the few reports assessing the motivations of underage migrants, the UN High Commissioner for Refugees (UNHCR) found in a survey that 59% of Mexican minors apprehended while crossing into the U.S. cited violence as one reason for leaving home. “Some youth prefer to try crossing the border instead of being pushed into organized crime and drug trafficking at home,” says Gloria Valdez, a child migration researcher at the Colegio de Sonora in northern Mexico. So why, despite a law clearly designed to offer at-risk children a real chance at protection, are so many Mexican children not being heard or helped? An underlying problem with the current system lies with the authority assigned to screen Mexican children­—Customs and Border Protection (CBP), which includes Border Patrol and the Office of Field Operations (at the ports of entry). 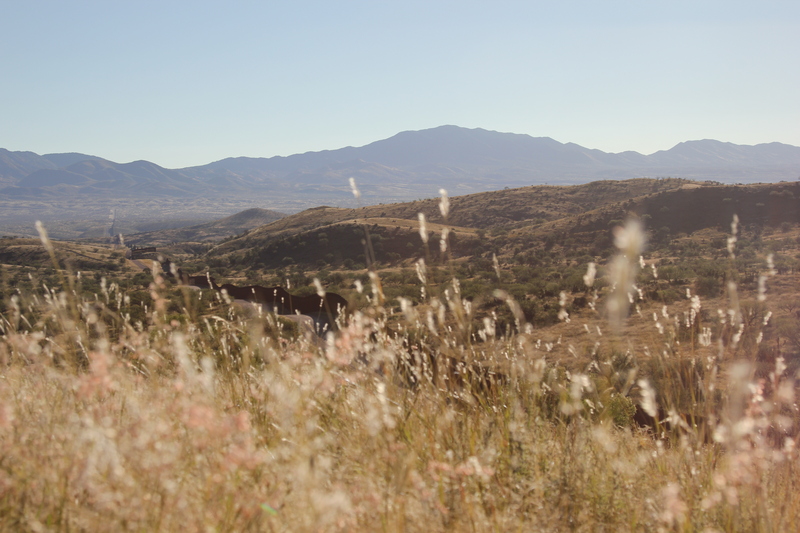 These agents are tasked with protecting the U.S. borderlands; their primary goal is to stop the illicit flow of goods and people into the country. The nature of their work means Border Patrol agents are rarely a friendly face for the kids they catch, who are already exhausted and confused. By the time most children meet Border Patrol, they’ve already made harrowing journeys most people would recount for the rest of their life—long days in the desert, exposure to excessive temperatures, and run-ins with smugglers. Yet a UNHCR evaluation of U.S. Customs and Border Protection’s screening of unaccompanied migrant children found many shortcomings. In the case of Mexican children, UNHCR asserted there was a bias against recognizing their need for protection and noted that these children are almost always returned to Mexico. Many Border Patrol officers were even under the impression that Mexican children are automatically deported. In WOLA’s field research, not one of the seven deported kids interviewed said they were asked about the dangers they might face back home. “They asked me my name, my age, where I was going, who I was with, if I had family [in the U.S.],” says Susana, a 17-year-old from Chiapas. “They took my picture and my fingerprints and that was it.” After 12 days in the desert, she was disoriented and exhausted. If she was given an explanation about what the Border Patrol agents were doing, she didn’t understand it. “I signed a piece of paper but it was in English,” Susana says. “Everyone signed it in English, but they didn’t know what it said either.” She was unknowingly signing her ‘voluntary’ return. In practice, there are many problems with Border Patrol’s screening of Mexican kids: the interviews are often conducted in a public environment that kids find threatening; agents lack sufficient training for dealing with vulnerable children; and screeners often don’t know how to ask about abuse or trafficking. It’s unsurprising then that most kids, like Esteban, never really have a chance to tell their story and seek protection. Mexican authorities are also failing to protect these children. The Mexican consulate—the next filter for protection—also interviews these children, but isn’t effectively identifying at-risk kids like Esteban either. “I think that the numbers might be speaking for themselves,” says Sandra Mendoza about the meager 4.5% of Mexicans who get the chance to apply for immigration relief in the U.S. She is the director of protection for Mexicans in the U.S. at Mexico’s Foreign Affairs Ministry (Secretaría de Relaciones Exteriores, SRE) and oversees the work of the border consulates. Back south of the border, Mexico’s migration agency (Instituto Nacional de Migración, INM) receives the deported minors and yet another government body routinely passes over potential victims. Mexican child protection services, through the Integral Family Development (Desarrollo Integral de la Familia, DIF) system, does entrance interviews with all repatriated minors. WOLA was allowed to watch one with an uneasy 17-year-old boy in Nogales, Sonora. The social worker never came close to asking him about any fears of returning home, despite something that seemed ‘off’ about his story (see his story here). The underlying goal at these shelters along the border is to get children back to their families as soon as possible, under the traditional assumption that it is the safest place for them. Yet again, children are often rushed through. And even when questions are asked about their safety and best interests, staff at the shelter in Nogales insist that the kids don’t tell them about violence at home. The failure to carefully screen these children and provide them with safe alternatives to returning home means that they may be sent back to the very circumstances that led them to flee in the first place. In Esteban’s case, he was discharged from the shelter 24 hours after his initial interview. He says no one on either side of the border asked him about violence. Authorities are also failing to address another category of kids: niños de circuito, or “circuit children”. These are teenagers, usually boys, who cross without papers and are deported over and over again. They’re not migrants, they work for organized criminal groups to guide migrants through the desert or haul drugs across the border. Some are forcibly recruited while others do it for the money. But in all cases, these teens are being exploited by organized crime and are often in danger. Criminal groups, who control the business of crossing the border, recruit these young people because they know they will get sent right back each time. Adults doing the same thing face prosecution for smuggling. Authorities on both sides of the border are well aware of the prevalence of circuit children. For Mendoza, it’s not a new challenge. On the Mexican side of the border, it is clear that authorities have done little to stop niños de circuito. Child services staff at the government shelter recognized that some kids cross repeatedly, but they wouldn’t acknowledge that the kids are working for organized crime in interviews with WOLA. However, WOLA learned that staff at some government-sponsored shelters have been instructed to let niños de circuito pass through freely in order to avoid a backlash from local criminal groups. The source, who requested anonymity for their own safety, also said local police have been alerted to cases of suspected circuit children but don’t follow up. “The reality is that there are no efficient programs on either side of the border right now to really help them to get out of this circle of violence they are leading on,” says Sandra Mendoza. Once apprehended, if Border Patrol suspects a minor is caught up in a smuggling ring, they can work with the U.S. Attorney’s office to determine whether a case against the minor “will be accepted for criminal prosecution,” according to the statement. If there is no prosecution, the minor is sent into ORR custody like unaccompanied migrant children from other countries. Some may be placed in an ORR secure facility (which is more restrictive) if deemed necessary. Between May and November 12, 2014, CBP sent 376 Mexican minors into the Juvenile Referral Process in south Texas. Of those, 272 were still in the U.S. under the program as of November. From the figures provided by CBP, children sent through this program stay in U.S. custody for an average of 71 days. “Initial information indicates positive results from the program,” CBP told WOLA in the statement, although it did not explain what those results are. When WOLA conducted interviews into this in October 2014, the program had been operational for 6 months yet Mexican officials said it had not been fully explained to them. “We are concerned because the process is not very clear and we have documented kids that have only been apprehended twice and they have been considered for this program,” Mendoza told WOLA. She is the top official for Mexicans in the U.S and has been leading work on improving government protocols for deported circuit children. Although CBP outlines the program as a means to prosecute niños de circuito, the Department of Justice has not yet pursued a criminal case against any of these minors. In light of that, some question the mission of the Juvenile Referral Process. “It’s a program more oriented to intelligence, to find out about criminal organizations.… After a few months kids are returned to Mexico without coordination or protection,” Appleseed’s Maru Cortazar says incredulously. Of the 104 children to complete the Juvenile Referral Process between May and November 2014, 94 were deported after seeing an immigration judge. Returning these children to Mexico may be putting them at great risk from organized crime groups. “If they give some kind of information and are then returned to Mexico, obviously we worry that this exposes them to other dangers,” says Cortazar. A niño de circuito, once valuable to their smuggling boss, becomes a liability after they speak to law enforcement. CBP agrees that Mexican minors deported after going through the Juvenile Referral Process “should be provided additional support upon their return in order to reintegrate into their community and avoid continued at‐risk behavior.” However, there is no current program to provide this type of support or protection. “If it doesn’t have continuance in Mexico with a mirror program, some kind of program that can catch them and provide an option to get out of this circle, it’s really useless,” says Mendoza. It might also be illegal. Cortazar says if Border Patrol is using the program to protect children, it’s legal. If it’s for gathering intelligence, it’s not. Mendoza is critical of the program for criminalizing teens—some of which may have been forced into smuggling—and pushing them further into a career in organized crime. Kids that are supporting their family with this income would need real alternatives, and in many cases, protection from the groups they are working for. In October 2014, Sandra Mendoza was told that Border Patrol would expand the program to El Paso, Texas next. CBP told WOLA it is still evaluating expansion of the program. U.S. laws have been written to provide refuge for children who are seeking protection. But most young Mexicans rarely enjoy the relief of such laws. In the U.S., protection claims are overlooked, while in Mexico, minimal efforts are made to get these children out of dangerous situations. On the U.S. side, the responsibility of screening unaccompanied Mexican children needs to be transferred. A governmental agency with expertise in child welfare and the identification of victims, such as ORR, should screen the children, instead of Customs and Border Protection, a law enforcement agency. However, as long as this responsibility remains with CBP, it is essential that officers are provided with additional training focused on child-appropriate custody care and screening for vulnerable children and victims of trafficking and persecution. CBP should also develop screening protocols and ensure that the interviews are conducted in private, non-threatening environments, and that children are fully informed of their rights and options in a language they understand. Likewise, CBP could employ child welfare professionals at CBP stations to screen apprehended children and manage their overall care and custody. In Mexico, authorities must take a more active role in screening repatriated children for protection concerns, and not assume that family reunification is the child’s safest option. According to Sandra Mendoza, Mexico’s foreign ministry is implementing a new interview process at all U.S.-Mexico border consulates to identify at-risk kids, which will hopefully fill in the gaps left by other authorities. Apart from this, Mexican authorities must examine the underlying reasons for why the child left home and establish guidelines or tools to determine safe placement. Moreover, Mexico’s federal and state governments should direct greater resources to violence prevention programs in order to expand and strengthen community-level programs for at-risk youth. Without changes to the current system, numerous children will continue to be returned to an unsafe environment. All children who may be in danger deserve the right to be heard and protected.